You don’t have to travel too far to find peace and tranquility. La Palanque is just a short flight from the UK and other European countries and reachable by car from a number of ports in France and Spain. Below we’ve listed various means of transport in order to help you plan your journey. We hope it’s helpful and we really look forward to seeing you on your arrival. We do our best to keep the travel information up to date but please check before departure for changes in flight schedules and ferry timetables. (All flight schedules are subject to change please look at airlines’ details at time of booking before reserving accommodation). Dover – Calais with P&O Ferries is a convenient ferry route, just a 90 minute crossing and up to 23 sailings a day. Dover – Calais with DFDS Seaways provides up to 15 crossings each way a day and also just 90 minutes. Calais port is 8.5 hour trip to Eymet. Portsmouth – Caen with Brittany Ferries is a popular ferry route. Caen port is 6.5 hours from Eymet. Cork – Roscoff with Brittany Ferries if you are travelling from Ireland, this is an easy route. Roscoff is 7.5 hours from Eymet. The drive passes close by many of France’s beautiful historic towns and cities including Lille, Paris, Tours and Limoges. From the UK, regular Euro Star train services run from London-St Pancras to Paris, Gard du Nord. 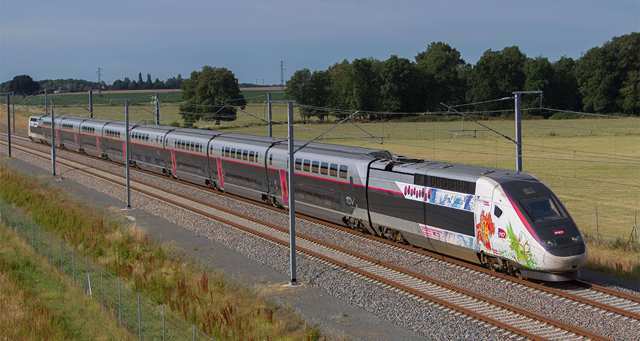 There are high speeds trains – TGV – from Gare Montparnasse, Paris direct to Bordeaux (just 1.5 hours from Eymet). Total journey time is approx. 9 hours, allow for a 30 min taxi ride between Gare du Nord and Gare Montparnasse. A return ticket is bookable through TGV or Euro Star. 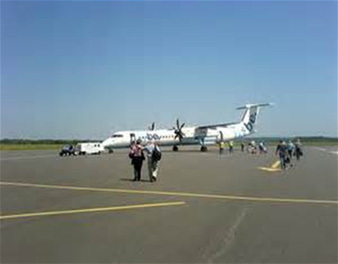 Taxis can be found waiting outside Bergerac airport, but if you want to pre-book a local taxi from Eymet please let us know.